Efficient and well managed public access to broadband Internet has become the key service that all businesses should offer to their customers, to be competitive today. Whether it is hotels, coffee shops or busy malls, customers demand for WiFi, similar to or better than what they have at home, connected anytime, anywhere and above all FREE!! Our platform provides businesses with flexible central authentication options to serve their loyal customers with connectivity to Internet and other services through a single platform. It’s the connected experience your customers will not forget. Cloud hosted Authentication, Authorization and Accounting(AAA) platform with Cloud PMS as well as on premise PMS for the hospitality industry. Hospitality room control systems that is retrofit and could be customized to suit each individual hotel. Smart Control technology for other industries to automate connected services that could be controlled, to create unforgettable customer experience an loyalty. We provide you with the facility to extract user data at an external data center for analysis. User purchases and bandwidth usage etc., could be stored by you and use your existing data management and reporting tools, rather than depending on third-part services. 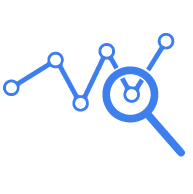 As a value added service Data analysis can be provided by us for a nominal fee. Our platform allows the users to make reservations, whether it is a hotel room or a movie ticket, conveniently and efficiently using our desktop portal or mobile APP. We are already connected with reputed hotel reservation systems, booking engines and movie ticket selling companies etc. and we keep connecting to similar services to make our platform the one-stop-shop that anyone who needs access to free WiFi will be looking for. All users who make reservations using our platform will be allowed free Wifi access at the venue. We have integrated our platform with the relevant systems of the venue to allow users with convenient and hassle free access at the venue. Whether it is a hotel guest or a movie goer, our platform will allow access at the venue, as soon as they arrive and with minimum delay. 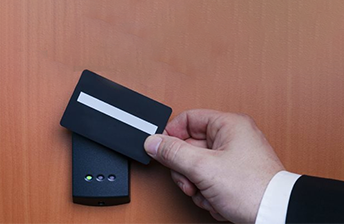 Depending on the extent of integration at the venue, we are able to provide Express Check-in, Key-less Room Entry at hotels to free access to parking lots at movie theaters. Apart from that, hotel guest will have access to view their messages, room bills, service menus etc. All these will be in addition to free or premium access to WiFi at the venue. While at the venue, users will be able to control available facilities, similar to being at home, through our platform. Hotel guest will be able to control their room lights, curtains etc., with their mobile devices, without having to use several remote control devices. We are working closely with our Business Partners who are owners or managers of venue to add more facilities that the users will be able to control, with the ultimate aim to providing unforgettable connected user experience.